Shopping online this weekend? Don’t forget the Charlie/Frosty tickets! The cast rehearsing the sing-along at the end of the show! Tickets are selling faster than usual for NBYT’s A Charlie Brown Christmas and Frosty the Snowman! It’s just over one week until performances, and you can purchase your tickets on Brown Paper Tickets—without any online service charge! A Charlie Brown Christmas faithfully follows the story of the 1965 television special in which Charlie Brown and the Peanuts gang learn the true meaning of Christmas. Frosty the Snowman is based on the original 1950 song in which the magical snowman “came to life one day!” Both one-acts with music will be performed together. The cast will be joined onstage by a chorus at the end of performances for a Christmas sing-along with the audience! 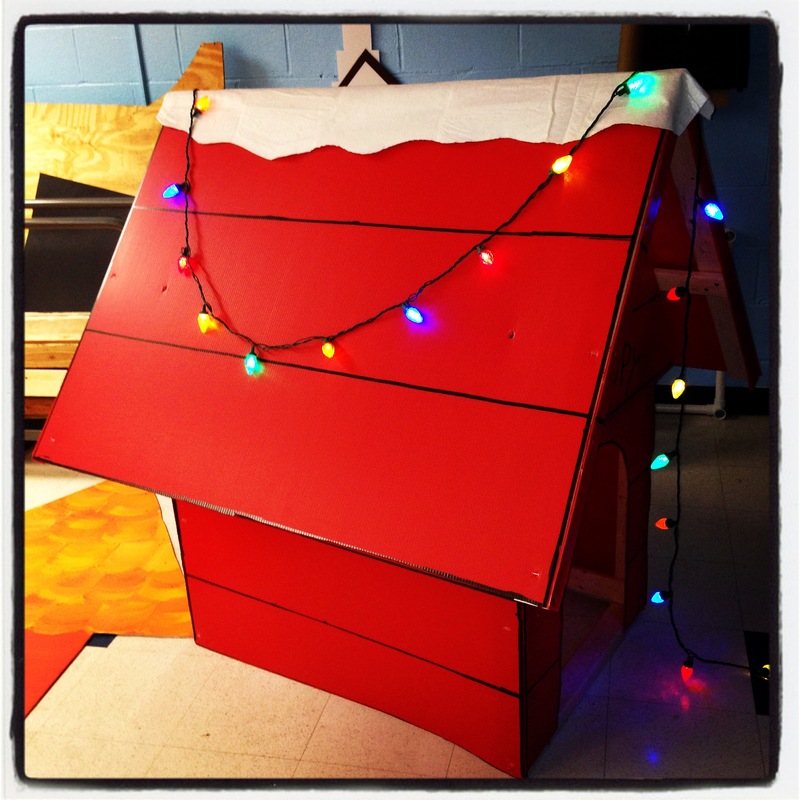 Snoopy’s doghouse of one of several set pieces built for the show! 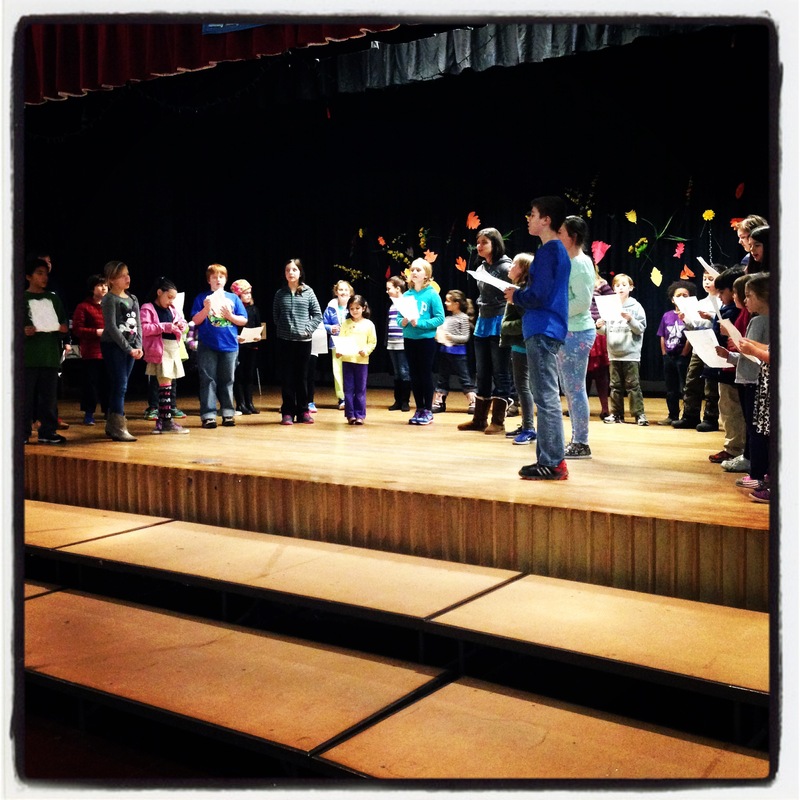 Next Next post: Help to Keep NBYT Strong in 2015! NBYT Shopping online this weekend? Don’t forget the Charlie/Frosty tickets!